The pro-LGBTQ entrepreneur wants parents to know they don't need to cut their childrens' foreskins. 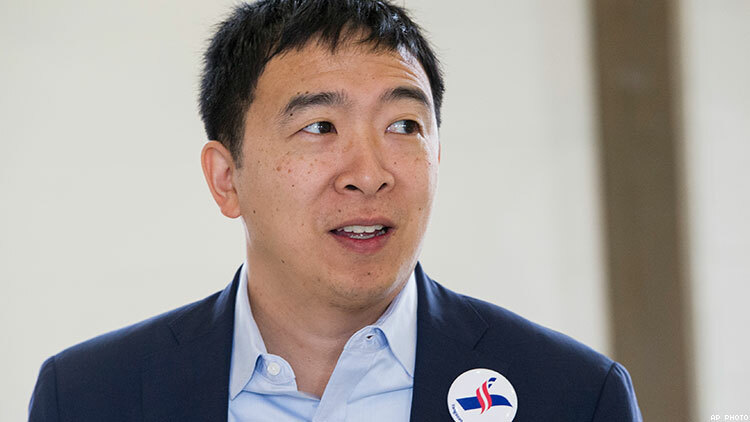 Andrew Yang, a businessman and grassroots, New York-based candidate for president, told The Daily Beast that he would enact policies discouraging parents from circumcising their babies. Yang tweeted last week that he was opposed to the practice and then reiterated his opposition to the Beast. Yang — a Democrat who will likely participate in the first primary debates — doesn't want to ban circumcision. Instead, the candidate wants parents to be informed by doctors that the practice is not a medical necessity. While the American Academy of Pediatrics says circumcision reduces the risk of sexually transmitted diseases and urinary tract infections, the organization still believes parents should make the final decision on the matter. Yang chose not to circumcise his sons after his wife voiced opposition. Among Americans aged 18-59, 81 percent are circumcised, according to a 2014 report. Those numbers are declining, though. The "intactivist" movement is encouraging families to leave their childrens' foreskins intact and see the practice as genital mutilation. One of the most high-profile inactivists was Jonathon Conte, a gay man who died by suicide three years ago. Meanwhile, Yang is gaining followers thanks to his proposals, including Medicare for all and a Universal Basic Income; the latter would mean every American adult would get $1,000, funded by a tax on companies automating at the expense of human workers. Yang is also devoted to LGBTQ rights, promising to "Promote any legislation extending protected status to individuals based on sexual orientation and gender identity; Increase funding for programs directed at educating the public on LGBT+ issues; Increase funding for programs meant to help LGBTQ individuals who are facing discrimination because of their identity; Appoint LGBT individuals to senior posts in my administration."